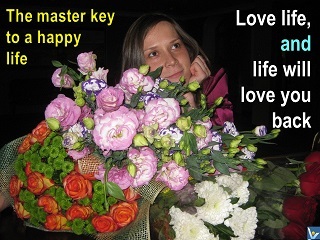 Love life, and life will love you back. 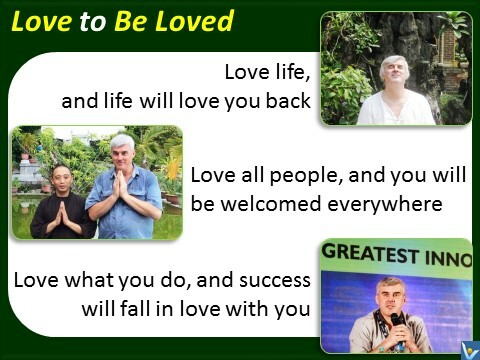 Love all people, and you will be welcomed everywhere. 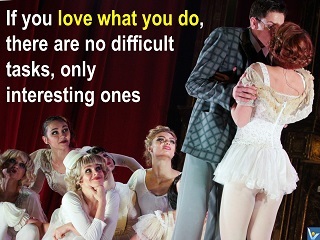 Love what you do, and success will fall in love with you. Can love be defined? No, if you live it, and yes in all other cases. 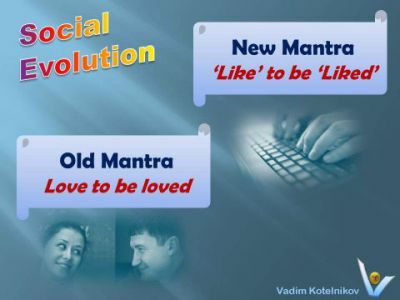 Those who love definitions create definitions, but lose the substance by focusing on the name. 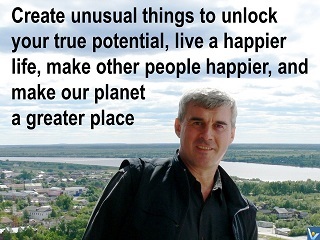 Focus on the substance ‒ live love to create your fate and your life. Your home is where your heart lives. 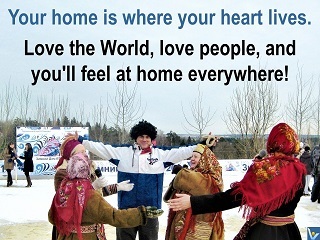 Love the World, love people, and you'll feel at home everywhere! 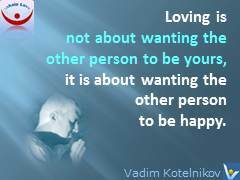 It is homelier at home, it is abroadlier abroad, but love for all people makes this difference hardly visible. 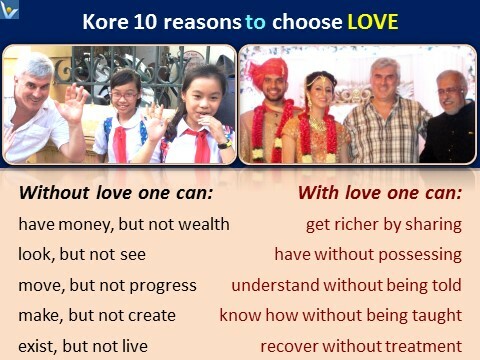 Without love, you can look, but not see. 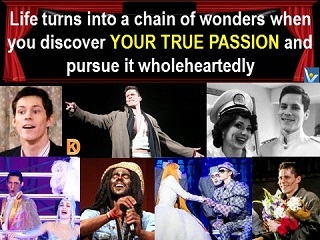 ‒ it's the River of Joy flowing out of the Sea of Love. 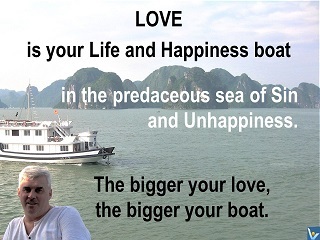 Love breeds love – love life and life will love you back. 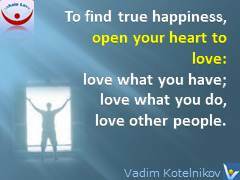 Here is a simple recipe of true joy: in a crowded place say silently and wholeheartedly, ‘People, I love you all so much!’ And enjoy your soul being instantly filled with happiness and joy. 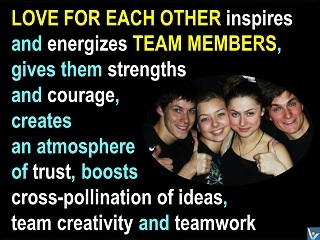 Love people, be a HOSTer ‒ Help Others Succeed and Thrive. 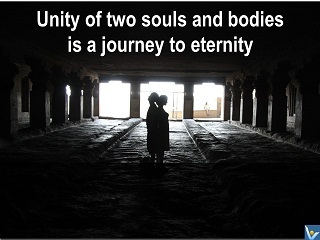 If you truly want to understand someone, free yourself from your ego and become the person you want to understand. 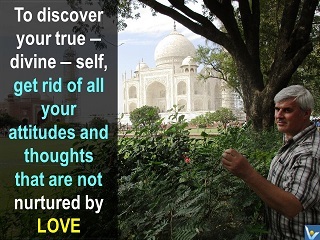 You will forgive everyone and everything when you discover true love. 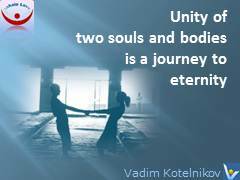 Unity of two souls and bodies is a journey to eternity. I do know how what will get me there ‒ it's love. 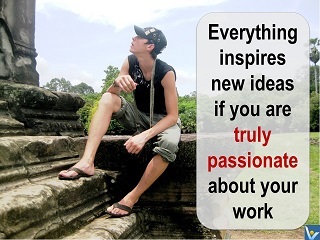 when you discover your true passion and pursue it wholeheartedly. 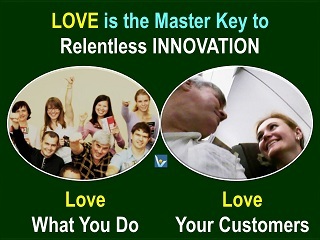 Innovation is actually a very simple phenomenon ‒ Innovation is about Love: love what you do and love your customers. 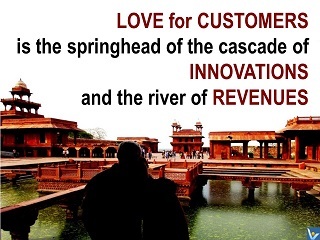 Love for customers is the springhead of the cascade of innovations and the river of revenues. 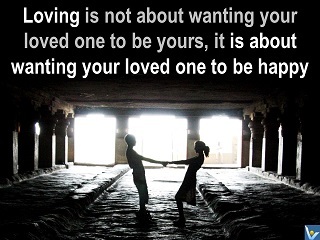 Love breeds love. 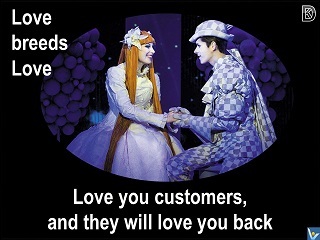 Love you customers, and they will love you back.